Discussion in 'Professional, Medical Malpractice' started by JoeLaw, Apr 11, 2019. I just discussed my malpractice case with an attorney. He said that he would be interested in taking the case and sent over a contract. The contaract seems fine but I am very concerned with the Expenses section. The verbiage used makes it seem like I would be responsible for all the expenses, if we lose the case. What do you think? Am I over reacting ? witnesses. The Firm promises to consult with Client before retaining such persons or entities. made within ten (10) days of receiving an accounting detailing such advances. within ten (10) days of receipt of an accounting of such advances. but shall be paid out of the attorney contingency fee. incurred by the firm whether or not recovery is made. 9. The Firm at its sole discretion may “advance” costs on behalf of Client. accounting for all costs expended at the time of closure of this cause. In the states in which I've practiced what you quoted is pretty much standard. The most common contingent fee arrangement in my state is that the lawyer's fee is one-third of whatever is recovered for the client but the client is responsible for all out of pocket expenses, including filing fees, court costs, deposition costs, expert witnesses, photocopies, postage, etc. Those costs are paid by the client regardless of the outcome of the case. Some firms here do offer an alternative where the client pays none of the expenses directly but the lawyer takes half of the amount recovered to pay for his/her fee and to cover those expenses that were incurred over the course of the litigation. Thanks for the quick reply. The Attorney is keeping 33% of the pay out and his lawyer fees. Since this is a small case. Probably 20-30K payout at best, I am very hesitant to take the risk of being stuck with the expenses if we lose. Any idea what those expenses might be? A lot depends on the details of the case you have. Your lawyer would be in the best position to tell you what to expect. Very generally though, in a medical malpractice case the costs can run into tens of thousands of dollars. The biggest costs are for expert witness fees and depositions and other discovery. But it matters a lot how obvious the malpractice is. The more obvious it is, the less you'll need in the way of expert witnesses and discovery. Ask your lawyer what total costs you might have in your case and ensure the lawyer contacts you before spending any significant amounts on the case. The verbiage used makes it seem like I would be responsible for all the expenses, if we lose the case. It say that the Client is responsible for paying the stated expenses only if the case is "lost;" the Client is liable whether the case is "won" or "lost." Any idea what those expenses might be? We know nothing about your case, but the biggest expense in a legal malpractice case will be the medical expert witness(es), who are likely to charge $300+ per hour and probably have $5-10k minimums. This is something you need to discuss in detail with your lawyer before signing the retainer agreement. I'm curious; who you do think should be responsible for expenses if the case is lost, and why? I think a malpractice attorney should review a case before taking it on. Since they are taking 33% or the payout and the legal fees/expenses in a winning case, the attorney should cover some expenses up front. The attorneys DO cover the expenses up front. That's the whole point. 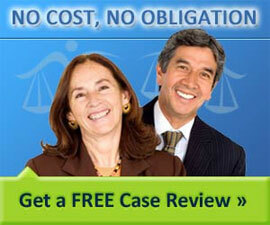 Are you suggesting that if the case is lost, the attorney should eat the cost of the expenses? Then find a lawyer willing to do that — there are lawyers out there who will cover costs. But you can likely expect that the contingent fee amount will be more. In my area, lawyers who will pay the out of pocket costs typically take a 50% contingent fee. If you go for the 33% contingent fee, you are obligated to pay most of the out of pocket expenses. Often the lawyer will wait to charge you until the case is completed and simply deduct those expenses from the recovery, along with the lawyers 33% fee, so the client might never have to write a check for the expenses unless the case turns out not to recover enough to pay for them. So you ought to consult several lawyers in your area and see what kind of fee deal you can strike. Bear in mind that like with anything else, it is not always best to go with the cheapest bid. You want to take a number of factors into account when picking a lawyer, just as you would hiring anyone for an important service. IMO, Joe, there is no 'within reason' about it - to expect anyone but the plaintiff to bear the expenses of bringing the case is NOT reasonable. Yeesh...typo in my prior response. Should have said, "It does not say that the Client is responsible for paying the stated expenses only if the case is "lost. . . ."